I was emailed the press release and images for the Rare Opulence Autumn/Winter 2010 collection ages ago, I’ve been sitting on this little gem for quite a while. Why am I sharing it now? Those three little words – Christmas party season. Pretty much all females are looking for THE dress, not just a dress. The dress to set them apart, make them feel utterly gorgeous and definitely not the same dress as Caroline in accounts! Opulence is the high end, high fashion range from Rare, who I absolutely adore. The Autumn/Winter collection has lots of luxe fabrics as you would expect from this range, including tulle, sequins, chiffon and lace. Colours are on the pale side of the spectrum, lots of ice blues, soft pinks, metallics with a teeny bit of black thrown in. What I adore about the collection are the details, the pleating, draping, origami folds, layers of ruffles and exaggerated silhouettes. 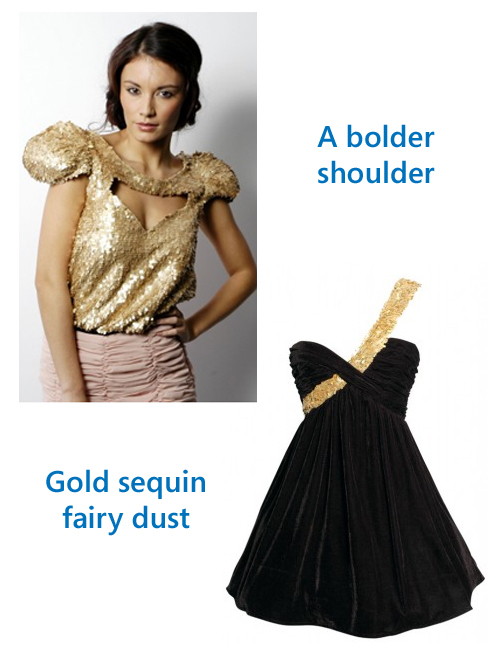 I’m definitely getting the one shoulder ruffle dress for my office party.